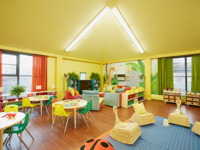 The Bright Horizons Foundation and Skidmore, Owings & Merrill LLP partnered to transform two rooms into "Bright Spaces" for children at the Regent Family Residence. 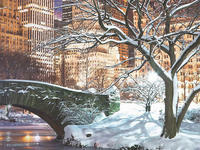 In January, presumably on one of the coldest nights of the year, thousands of volunteers gathered to canvass the streets in every borough of New York City as part of the Homeless Outreach Population Estimate, or HOPE Count. 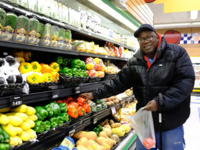 Hope and Hearth Holiday Food Vouchers featured in the "New York Daily News"
The "New York Daily News" profiled the Hope and Hearth Holiday Food Voucher program though the experience of one of our clients. 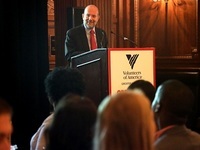 Volunteers of America-Greater New York (VOA-GNY) honored Wells Fargo with its Spirit of the Founders award at its annual fundraising gala at The Plaza in New York City. NYPD Transit officers held a food drive for our Bushwick Family Residence and delivered in time for Thanksgiving. 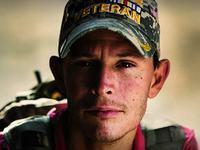 amNY featured Battle Buddy Bridge in a story about how veterans give back to other veterans. Reporters talked to Paul Kress, our VP of Strategic Initiatives, and local community members about Clarke Place. Construction is underway at Clarke Place, bringing affordable housing, supportive services, and recreational activities to Bronx seniors in need. 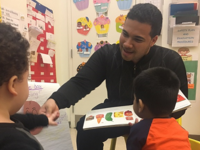 News 12 The Bronx recently featured Kirby Liriano, a former BELC student who is now a teacher. 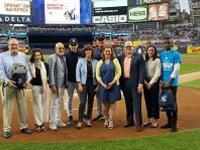 The ​15th annual Operation Backpack®​ 2018 public campaign was featured on the New York City Patch website. Read more about our drive. 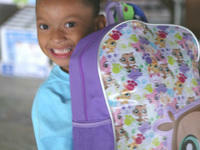 ​Operation Backpack®​ supporter Kimya Nielsen was featured on local Montclair website, Baristanet. 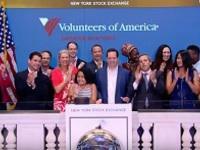 On July 9, 2018, Volunteers of America-Greater New York rang the NASDAQ Opening Bell to publicly launch Operation Backpack® 2018. 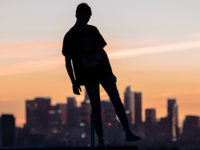 Mayor De Blasio’s administration has assembled the first-ever task force of city agencies, experts, and local nonprofit providers to address the issue of preventing and ending youth homelessness in New York City. ​From Sunday, June 17 through Saturday, June 30, customers shopping at participating Walgreens and Duane Reade stores will be able to donate to the 2018 Operation Backpack® campaign at checkout. 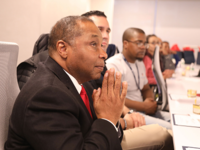 ​News about the 2018 Operation Backpack® ​Kickoff Breakfast was briefly profiled on New York Nonprofit Media. ​Schwartz Assessment Shelter, our shelter for men on Ward’s Island, received a perfect score on its Callahan Inspection in April. Without the support of volunteers contributing to Brightening Birthdays™, the yearly milestones of the children in our shelters may come and go, unrecognized. ​This February, Volunteers of America-Greater New York’s Jamaica Women’s Employment Shelter received a perfect score of 100 on its annual Callahan Inspection. Long-term partner Rutgers Community Programs has “adopted” the Regent Family Residence, serving as the “go-to” sponsor for many of the Regent’s needs. Read more about this special partnership, and the creative ways they’ve brightened the lives of children living in our homeless shelters. The General Services Administration (GSA) recently renewed its contract with VOA-GNY, and extended its Federal Supply Schedule Contract another five years until 2023. The relocation will centralize key functions of our organization, providing opportunities for enhanced collaboration and efficiencies. Professional basketball player DeMarre Carroll pays a visit to our at-risk youth programs in northern New Jersey. VP of Communications & External Relations, Rachel Weinstein, discusses her career at VOA-GNY and how Operation Backpack® came to be. 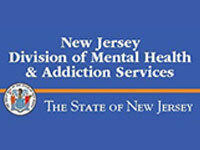 Our New Jersey programs for at-risk youth received a four year accreditation from the Council on Accreditation (COA). The Next Generation Network Has Launched! 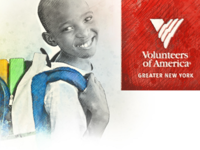 Supporting the efforts of Volunteers of America-Greater New York, while also building the next generation of influential volunteers and philanthropists. Battle Buddy Bridge is a veteran peer-to-peer program that provides services and opportunities to military veterans and their families. 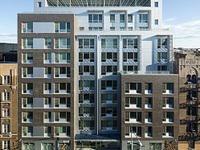 Singled out for its innovative programming and design, the building provides a safe, affordable place to live for some of NYC’s most vulnerable citizens. 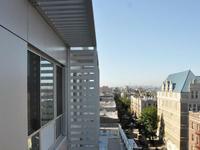 Wales Avenue Residence, a permanent supportive housing facility, that provides behavioral health services received a three-year operating license from the New York State Office of Mental Health. 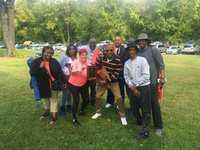 Volunteers of America-Greater New York’s (VOA-GNY) Behavioral Health services in Northern New Jersey (NNJ) recently secured three-year licenses for each of their Adult Service programs. The Bronx Early Learning Center, serving children with developmental disabilities, has been accredited by the National Association for the Education of Young Children. Learn more about this year's gala. 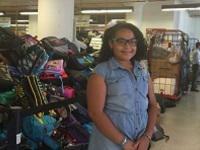 Rachel Weinstein sat down with Ernie Anastos to talk about the impact of Operation Backpack® within the NYC area. 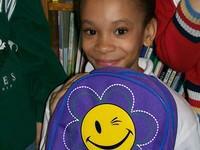 Experience the impact of Operation Backpack® through the eyes of one of its participants. 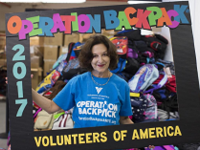 Operation Backpack® founder Rachel Weinstein discusses the inspiration behind the program. The New York Stock Exchange recognizes Operation Backpack® by inviting us to ring the closing bell. 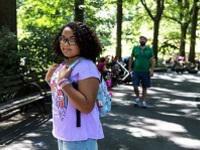 Operation Backpack® Profiled in "The New York Times"
"The New York Times" spoke to 11-year-old Gianna, a recipient of one of our donated backpacks with supplies. 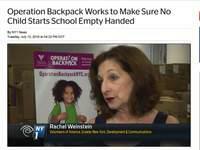 Operation Backpack® founder Rachel Weinstein appears on NY1 to talk about the program, how it serves the community, and what you can do. 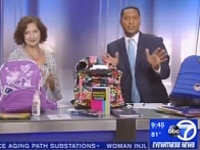 WABC 7 morning news invited Operation Backpack® founder Rachel Weinstein to discuss the 2017 campaign. Operation Backpack® 2017 is Underway! 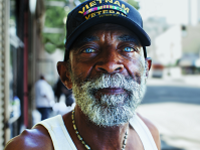 A New York City Housing Authority program is helping homeless veterans find permanent homes. The cast of Fiddler on the Roof recently volunteered their time to Operation Backpack, a community service of Volunteers of America-Greater New York that provides homeless children living in New York City shelters with new, filled backpacks. 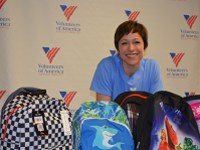 Michelle Charlesworth, ABC7, interviewed Rachel Weinstein & Paige Davis about Operation Backpack®. Operation Backpack 2015 is Underway! 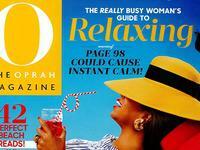 Oprah is Grateful for Operation Backpack! 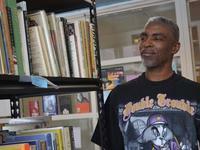 Hundreds of books fill the libraries of VOA's residences for formerly homeless veterans, thanks to a book drive organized by Rutgers Presbyterian Church. 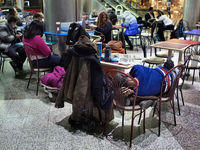 New York's affordable housing crisis has forced some homeless to live in the airports for years. The Creston Avenue Residence, located in the Fordham section of the Bronx, provides a safe, supportive environment for some of the city's most at-risk residents. 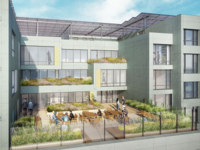 Alongside TODAY host Willie Geist, the Foundation, with the support of Bright Horizons Family Solutions and other businesses created a Bright Space® at VOA's Bushwick Family Residence in Brooklyn, New York. 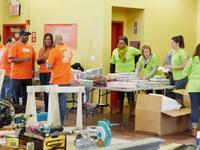 Willie Geist, the "TODAY Show", and the Bright Horizons Foundation make over the recreation room at our family shelter in Brooklyn. Thanks to generous financial support from Bank of America and in partnership with CBS EcoMedia, critical repairs and upgrades to important capital features were made at two facilities operated by Volunteers of America-Greater New York. 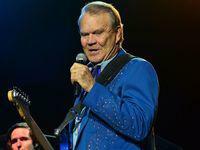 VOA Hosts an Opening Night Screening of "Glen Campbell...I'll Be Me"
Volunteers of America-Greater New York hosted an opening night screening of "Glen Campbell... I'll Be Me," on October 24, 2014, at AMC Empire 25 Theaters on West 42nd Street. 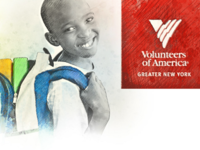 Rutgers Presbyterian Church and Volunteers of America - Greater New York (VOA-GNY) to host summer field trips for at-risk children throughout New York City. 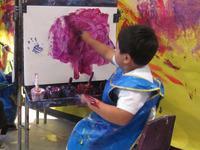 The children will visit Rutgers Presbyterian Church on Fridays, create art in the Church's inspirational art studio and participate in various creative play activities. 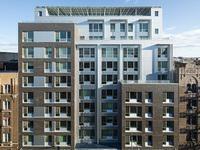 Tax Credit Advisor Magazine profiles the Creston Avenue Residence, a new housing project funded under an initiative to reduce New York State's Medicaid expenditures. 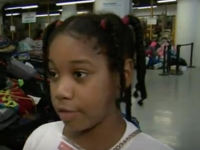 Two-year gift from HSBC will buy backpacks and school supplies for thousands of children who are homeless in three metropolitan areas.